Having faithfully preached Christ to his people for the last time, as he supposed, he returned to meet his infuriated parent, at the threshold of the cabin. There the father stood with form erect, broad and athletic, in the vigor of manhood; his tawny visage was rendered almost black by the malice which rankled in his breast; the deadly rifle was in his hand, and he was fully prepared to consummate his fiend like purpose. Oakchiah approached, expecting to fall, but was calm and fearless; for he was in the discharge of duty, and God’s grace wonderfully strengthened and sustained him in the dark hour of trial. With deep peace in his soul and with love beaming in his countenance, and with unusual tenderness in the intonations of his voice, he addressed his parent: "Father, will you shoot me? What have I done that I must die so soon? Father, I die a Christian, and shall go to the land of the pure and good to live with the blessed Savior!" Although the rifle had been leveled to take deadly aim the old man paused, his muscles relaxed, the weapon fell to the ground, and a torrent of tears gushed from his eyes, and flowed down his cheeks. He was a warrior who could boldly meet the deadly foe on the battle-field; his spirit never cowered in presence of danger or of death; he scorned the rage and power of man; but the meek spirit of a follower of Christ completely unmanned him. In such forbearance and love he saw arguments irresistible in favor of the Christian religion. Thus the father was conquered; his haughty spirit was subdued; he became deeply penitent, and was soon numbered with the believers in Jesus. Oakchiah would later become a missionary among his own people in Indian Territory (Oklahoma), faithfully preaching Christ among his own people. Not many Oklahomans know of this preacher of the gospel buried right across our border on the southern bank of the Arkansas River, but the testimony of faithful preachers like Oakchiah encourage me to realize that true gospel preachers are always willing to pay the price, with a loving spirit, for the cause of truth. "Near the end of 2009, some pastors from different parts of the country contacted me about the possibility of being nominated for President of the Southern Baptist Convention this June in Orlando, FL. This had not been on my radar and yet when it came out of the blue from more than one pastor, I realized I needed to pray seriously for God's will in this matter. For a couple of months in early 2010 Anne and I were praying diligently, and I kept coming up with one reason after another before the Lord on why I was reluctant to do this. I love pastoring Johnson Ferry and leading Right From the Heart. The time demands are already intense, and being Southern Baptist Convention President on top of that would move the intensity of time pressures to a new level. Plus, through the years I have preferred to focus on the local church at Johnson Ferry over denominational matters. Yet more and more as we prayed, Anne and I both began to sense this was clearly God's leading. I began to feel that if I didn't respond to a sense of calling in this matter, it would be pure selfishness on my part and I would be disobedient to the Lord. Being nominated does not mean you'll be elected. It just means a willingness to serve if so chosen. There is no way to know what decision Southern Baptist messengers will make at the annual convention each June. There is no campaign. I will set up a blog to share how God has led in this call and answer questions as they come our way (yeah, I know you are chuckling at this since I don't use a computer; as a matter of fact, I'm writing this note to you on my trusty yellow legal pad). The state Baptist papers and the Baptist Press news agency will run articles about those who will be nominated, but many messengers will decide whom to vote for based on a three-minute speech made by the pastor who nominates you. David Uth, Senior Pastor of Orlando First Baptist Church, will be nominating me. We share a similar heart for the Lord and church and missions. This is a very important time in the life of our denomination. 1. Historically, our greatest strength has been in evangelism and missions. Yet in recent years our impact in that area has diminished greatly from a national perspective. Baptisms are flat, although the population has grown. It also greatly saddens me that we have people appointed and ready to go onto the international mission field but are unable to go for lack of funds. For a good number of years, as God began to work powerfully in Johnson Ferry through Global Ministries, we have focused on getting a higher percentage of our mission dollars to international missions. Our missions leadership at Johnson Ferry began to realize that over 60 percent of the dollars given to the Southern Baptist missions fund (called the Cooperative Program) stayed in the state and that only 16 percent of each dollar given through the convention's Cooperative Program wound up on the international mission field. The Cooperative Program began in 1925 with the belief that we can do more for missions together than any one church can do alone. That idea is just as valid today as it was in 1925. This fund goes to support state missions, national missions, international missions, and our six Southern Baptist seminaries. But we became greatly concerned about the very high percentage of this fund focusing on state missions and the very low percentage of this fund going to international missions. As a result, we began to give half of our Southern Baptist mission gifts straight to the International Mission Board in what is called the Lottie Moon Offering. We'd rather give the bulk of our Southern Baptist mission dollars through the Cooperative Program, but until a radical reprioritization of mission funds occurs and more of the funds make it to the international mission field, we will continue to give a big percentage directly to international missions. Even though the President of the Southern Baptist Convention has no authority to change the percentage formulas of our state conventions (only the states can do that), he is a voice and hopefully, a positive influence in seeing that more of our denominational mission dollars go to international missions. 2. It is an important time in our denomination when three key leaders of denominational agencies will be appointed over the next year: President of the Executive Committee; President of the International Mission Board; and President of the North American Mission Board. These three leaders will have a huge influence in the fruitfulness of Southern Baptists reaching our world for Christ over the next 15-25 years. The President of the Southern Baptist Convention doesn't make these decisions, as there is a search committee for each position, but he is a part of that process. 3. Johnny Hunt, the current President of the Southern Baptist Convention and Senior Pastor of nearby Woodstock First Baptist Church, has led our convention in setting up a Great Commission Resurgence Task Force to study how our convention needs to reprioritize and restructure in the years ahead to better reach our world. That task force has provided a tremendous service to our denomination, and their recommendations will be voted on at this year's convention. Whoever serves as president will need to be diligent in carrying out that work in the years ahead. I realize this has been the longest letter or email you have ever gotten from your pastor, but I wanted to share with you how God led in this decision, as well as some of the challenges before our denomination. Johnson Ferry has always been a church with a "Kingdom vision" - more about the Kingdom of God than just focusing on our local church in reaching our world for Christ. Should I be elected Southern Baptist Convention President this June, it will be another way Johnson Ferry has an opportunity to build up the Kingdom of Christ beyond our local church. Most of all, please pray for God's will to be done. And pray for Anne and me to continue to walk closely with the Lord as faithful and fruitful witnesses for Christ day by day." Our youth spent their Spring Break at Mission Arlington, volunteering in the multiple ministries offered by this extraordinary evangelical outreach in downtown Arlington, Texas. On August 1, 1986, Tillie Bergin, affectionately known as Miss Tillie, began Mission Arlington in a supply closet at FBC Arlington, Texas. Last year Mission Arlington delivered 22,000 Thanksgiving meals, provided 27,000 Christmas gifts to over thousands of needy families, gave free dental care to thousands of families that couldn't afford it, and supplied food, medicine, and emergency expenses to tens of thousands of people in the Arlington metroplex through the course of the year. Miss Tillie and her husband Bob were Foreign Mission Board missionaries in Korea in the 1960's and 70's. They came back to Arlington in the late 70's due to a severe illness in their youngest son. Bob became principal of Arlington High and Miss Tillie began work as Personnel Director for the Arlington I.S.D. Still burdened with a heart to see the lost come to know Christ, Miss Tillie took a step of faith and began doing for Arlington what she and her family had been doing in Korea. The result is Mission Arlington--a 2.8 million dollar ministry that never raises funds, never seeks volunteers, and never charges for services. As Miss Tillie would say, "You don't have to advertise a fire." Last year hundreds of volunteers from 47 different states, and numerous countries from overseas, descended on Arlington, Texas to assist in reaching the tens of thousands of lost people that live in apartment complexes in the city. Miss Tillie and her staff of missionaries go into tough, gang-infested apartment complexes and begin Bible studies that eventually turn into churches. Right now 242 churches have begun through the efforts and ministry of Mission Arlington. Dr. Jim Bergin, Tillie's son, now coordinates the thousands of people that come to minister the poor and needy through the course of the year, including our church. My sixteen-year-old son, Logan, will be serving as a volunteer missionary this summer at Mission Arlington. 72 year old Miss Tillie told Logan and me a story yesterday about her first church start in an apartment complex in 1986. Tillie met a young lady named Virginia who was working as a bartender. Virginia was also addicted to drugs. She lived in an apartment complex run by gangs, and she had borne several children out of wedlock. Miss Tillie ministered the love of Christ to Virginia, and she came to know Jesus as her Savior. Miss Tillie discipled her and when the time came to launch a Bible study in the gang-infested apartment complex it was Virginia who was called to begin it. That first Sunday seventeen people showed up to study God's Word. Virginia taught them. Soon, people were coming to know Christ. Virginia would baptize them in the apartment swimming pool. During one Sunday worship service, a very sick infant child died in the arms of her mother while they were praying. When Miss Tillie arrived with the ambulance and police, the distraught parents wanted nobody to perform the service but Virginia. Miss Tillie had to show Virginia how to conduct a funeral. She did it, and she has conducted funerals since. When the Lord's Supper is served during worship, it is Virginia who serves it. Virginia has never been "ordained." Virginia has never been to seminary. Virginia is not part of the "clergy." She is a follower of Jesus Christ. She is gifted. She is called. She is ministering. People are being saved. Next year, the church begun by Virginia will celebrate 25 years of existence. From that humble beginning of one church in 1986, Mission Arlington has begun an additional 241 churches. Thousands of people over these past twenty five years have come to Christ and been baptized through Mission Arlington's church planting efforts. Apartment complex owners are begging Mission Arlington to come to their apartment complexes. Studies have shown where Mission Arlington is present in an apartment complex, crime goes down, occupancy goes up, and the living conditions improve. One would expect that when the grace of God appears. As the Southern Baptists of Georgia argue over kicking out a church that called a Senior Pastor's wife as co-pastor, we all would do well to look at Mission Arlington as an example of what God will do when His people get more concerned about the lost than gender. Instead of arguing who is qualified, Mission Arlington simply releases the gifted to minister as God calls. I was astonished at the incredible--some might say "miraculous"-ministry being done at Mission Arlington. As I was leaving, I asked one of the missionaries to whom I was speaking "Why Arlington?" Clark Bergin, Miss Tillie's 21 year old grandson and student at Dallas Baptist University responded: "Why Bethlehem?" Good point. One of these days the Southern Baptist Convention will no longer be concerned about the gender of the person ministering Christ; we will only be concerned about the ministry being done in the name of the one born in Bethlehem. There is reliable data from the first four centuries of Christianity that the location of Jesus' baptism by John the Baptist was at a spot on the Jordan River just five miles north of the Dead Sea. This spot, near the city of Jericho, is called by the ancient Jews "Bethabara" or "The Crossing," (see map to the left) for it is the precise location that the children of Israel crossed into the Promised Land. The evidence of "Betharaba" being the site of the Jesus' baptism begins with Origen. He writes "It is said that on the heights of the Jordan there is Bethabara where, it is affirmed, John baptised (Jesus)." The ancient historian Eusebius of Cesarea says Betharaba is the place is known to "many believing brothers who, wishing to be reborn, are baptised there in the living current". Eusebias also wrote that Constantine confided to the bishops gathered at Nicomedia that he desired to be baptized at Betharaba by saying: "Finally time is ripe the salvific seal which I once thought I could receive in the waters of the Jordan, where, we are reminded, the Saviour was baptised as an example for us" (Vita Costantini IV, 62, 1-2). 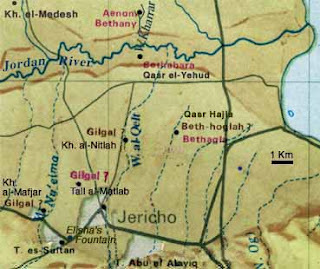 One of the early Christian pilgrims to the Holy Land, an anonymous traveller from Bordeaux, France, identified the site Christ's baptism five miles from the Dead Sea, also wrote about the site and connected it to the Ascension of Elijah "(From the Dead Sea) to the Jordan, where the Lord was baptised by John - there are five miles. There is a place by the river, a little hill upon the further bank, from which Elijah was taken up into heaven”. In the forth century Jerome, while studying in Bethlehem, writes that Betharaba on the Jordan River was a regular stop of the Christian Pilgrims to the Holy Land. He recounts the pilgrimage of his friend Paola whom he had accompanied to Betharaba ("the crossing") and "she stood on the river bank at dawn... she remembered the sun of justice (Jesus)..."
1 When Israel was a child, then I loved him, and called my son out of Egypt. 2 As they called them, so they went from them: they sacrificed unto Baalim, and burned incense to graven images (Hosea 11:1,2). In verse one, Hosea the prophet says that Israel is God's son and is called out of Egypt. 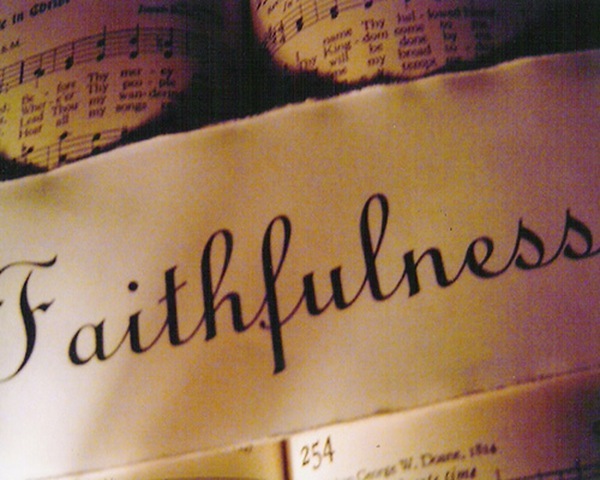 Yet, in the very next verse, Hosea reveals Israel's unfaithfulness. They served Baalim not only at the foot of Mt. Sinai, but after arriving in Canaan, they continued to find themselves falling into idol worship. The Law of God only revealed the sin and imperfection in Israel. Not so with Jesus. The apostle Matthew quotes Hosea 11:1,2 as he describes Jesus' return from Egypt after the death of Herod. 15 (Jesus) was there (Egypt) until the death of Herod: that it might be fulfilled which was spoken of the Lord by the prophet, saying, Out of Egypt have I called my son (Matthew 2:15). The word is used by Matthew in quoting Hosea 11:1 in the second sense. Jesus completed what Israel failed to accomplish. He "rendered perfect", or "to carried through to the end,' what Israel was unable to perform. It is in this sense that Matthew uses the word. The Israelites picture imperfect righteousness through their attempts to keep the Law, but Jesus fulfills all righteousness for imperfect sinners by perfectly meeting all the demands of the Law. 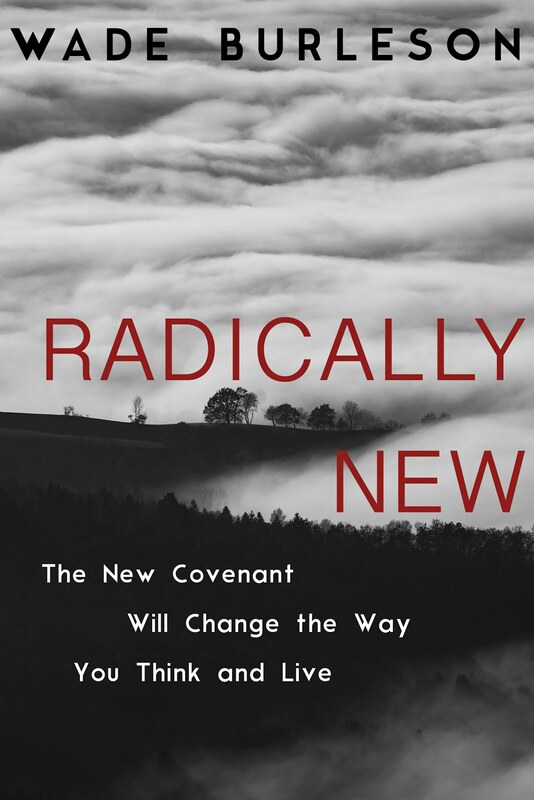 Until a person sees Old Covenant Israel as simply a foreshadowing of the New Covenant Jesus, there will always be the temptation to imitate the rigors of Old Covenant Law keeping. The question we must ask is simple: To which covenant do I lean? Upon which agreement do I trust? Do I constantly turn to the Old Covenant, looking to yourself to perform "The Law," as did the Israelites? Or, do I trust Him who has fulfilled all the Law in my stead, obtaining for me a righteousness that is not my own? Too many churches, too many pastors, too many Christians have sought to establish their own righteousness by their efforts to keep the Law (either Old Covenant law, the church's Law, or some other Law), when the Scripture reveals to us a perfect righteousness that comes from faith in the Righteous One who Himself becomes our Royal Law. "I am found in Him, not having a righteousness of my own that comes from my obedience to the Law, but that righteousness which is through faith in Christ, the righteousness that comes from God and is found by faith" (Philippians 3:9). Last Tuesday, March 16, the Jews in Jerusalem dedicated the Hurva Synagogue. This famous synagogue was blown up by the Jordanians during Israel's 1948 War of Independence. For six decades the Jews refrained from rebuilding Hurva, but last Tuesday marked the reopening of Jewish worship in the synagogue which is located not far from the Arab controlled Temple Mount and the Arab eastern quarter of Jerusalem. Rachelle and I were with several friends in the Garden of Gethsamene last Tuesday when a full scale gun battle broke out between the Israelis and the Palestinians. Most of the shooting occurred on the Temple Mount and East Jerusalem, right across the street from where we were standing. The Palestians were protesting Hurva's reopening, and leaders of Hamas were attempting to start another intifada, or "uprising,' and hundreds of Israeli soldiers and policemen spent about thirty minutes putting down the uprising by firing rubber bullets. 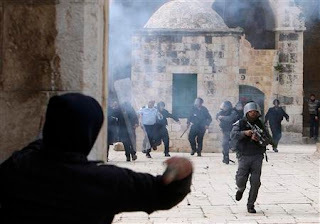 At the time of the firefight, we didn't know that only Israeli soldiers were firing, nor did we know that rubber bullets were being used--all we knew was that it sounded like World War III had begun, and we were the closest Western tourists to the fighting. Fires were started, helicopters surrounded the scene, and between 200 to 300 shots were fired in fifteen minutes. In the midst of it all, our orthodox Jewish guide raised his hands and said to us "Ignore the helicopters and the gunfire and listen to me." Then he pointed to an olive tree and said, "This tree is over 2,000 years old ...." and continued talking. Our guide, Avi, is 72 years old and is an old pro when it comes to war. He was a child who hand carried messages to soldiers in the 48 War of Independence, a battalion commander in the 67 Six Day War, and a reservist in the 73 Yom Kippur War. He is used to fighting. Frankly, the rest of us were more interested in hiding behind the olive trees than learning about them from Avi. We eventually made our way out of East Jerusalem, sitting in the inside aisles of the bus so that we could duck if necessary. We continued our journey through the Israel, making it as far as Lebanon and Syria in the north, Jordan to the east, and Egypt to the South. Two days after the gun battle we even made it to the top of the Temple Mount, the very place fighting had occurred 48 hours earlier. Unlike the 2000 - 2006 intifada, the Palestians last week weren't too enthused in revolting against the Israelis. The people in the Middle East, both Jews and Arabs, need what organized and institutional religion cannot bring. They need a change of heart that comes only from the grace of God and the power of the Holy Spirit through faith in Jesus Christ. Unfortunately, institutional Christianity does not reveal the power of Christ. Jerusalem, Israel, and the Middle East is filled with churches, synagogues, and mosques--all promoting their religion, but all missing the reality of Christ. Jesus taught that we are to "love our enemies," but it seems that the religious often hate their enemies. Standing in the very garden where the Prince of Peace prayed hours before His death, surrounded by the fundamentally religious fighting one another, I couldn't help but think about the fact that the real evidence of God's grace the religious person's heart is love for people, even one's enemies. The above video caught my eye as I was doing some reading of Rick Thompson's blog, The Road We Travel, between our worship services this Sunday morning. Rick is a fellow pastor, friend, and pretty sharp guy in every aspect. I really enjoyed the video regarding C.S. Lewis and his conversion to Christ, and I believe it will be enlightening to you as well, particularly in light of our mutual desire to see people come to faith in Christ. Let me also encourage you to read Rick's blog. He is always insightful, and your walk with Christ will be strengthened. I will be out of pocket for the next couple of weeks in terms of this blog. I look forward to returning Sunday, March 21, 2010. Due to my inability to access a computer and dialogue with commentors, the ability to leave a comment at Grace and Truth to You has been turned off until I return to country. Last October 4, 2009, we had Mosab Hassan Yousef speak at our church. You may listen to his message by clicking here, signing up for access to our televised archives, and go to the October 4 service broadcast. It's worth the effort. We found Mosab to be engaging, genuine and bold in his testimony for Christ. If you would prefer, I would encourage you to read this excellent Wall Street story on Mosab. 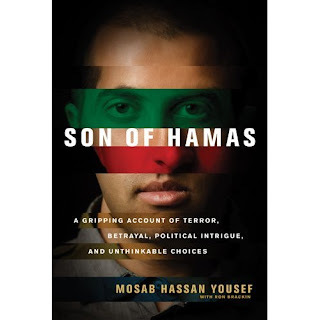 Mosab's new book, The Son of Hamas was released this week. Mosab's nationwide profile is much higher today than it was a week ago. In my conversations with Mosab I was struck with the love that he had for his father. Mosab shared with us that his life would be in great danger if his father ever officially "disowned" him. Hamas would, in essence, see that decision by their leader as an invitation to take Mosab's life. But even though Mosab had been public about his conversion to Christ when he spoke at our church last October, there had been no public disavowal of Mosab by his father. However, The Wall Street Journal article quotes Mosab's father (Sheikh Yousef) as saying this past Monday "I and my family have completely disowned the man who was our oldest son and who is called Mosab." My prayers are with Mosab. He is truly a former Muslim turned Christian--and in personal danger. 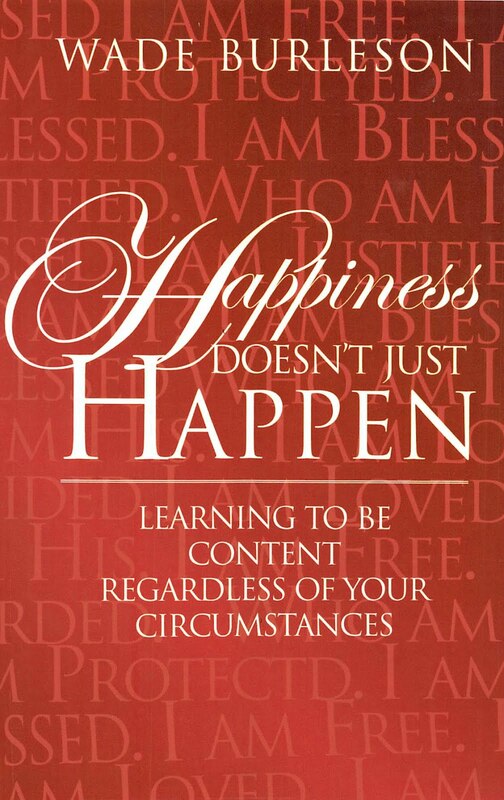 I would encourage you to both pray for him and purchase his book. I received mine Friday and have already read it. It is gripping in every sense of the word. As I was cleaning out some of my old files I came across a letter sent to me in 2008 from a Southern Baptist pastor who was not very happy with Dr. Sheri Klouda losing her job as Professor of Hebrew at Southwestern Theological Seminary. The letter, published in his church's newspaper, portrays an uncommon courage among Southern Baptists. This highly educated Ph.D. graduate of one of our SBC seminaries (2008)is pretty cogent and clear. 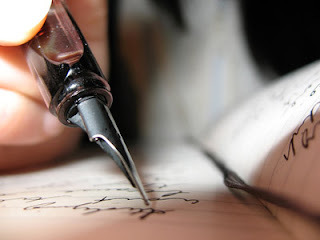 I enjoyed the letter, and with the author's permission, offer it to you for your reflection. For those who wish to object, "But what about Paul's words in I Timothy 2 commanding women to keep silent and not taking any authority over men?" This conservative inerrantist responds: Go buy Jon Zens new book. (1) She was career woman, a tent maker by trade. We know this because Paul refers to her and Aquila in the 3rd person plural when he speaks of his own experience in the trade. (2) She was a teacher perhaps similar to a seminary professor in the sense that she taught Apollos a clearer understanding of orthodoxy (Acts 18:26). So great a teacher was she along with her husband that when Apollos arrived in Achaia, he greatly encouraged the Christians there and powerfully defended the faith (Acts 18:28). (3) She was obviously a devoted wife for she is constantly mentioned along with her husband, Aquilla, beside whom she served the Lord faithfully. Isn't it interesting that in the first century church, a woman could have a career (okay... a trade), be a teacher OF MEN (oh... perish the thought), and still be a devoted wife? Why do so many leaders in my denomination insist that a woman cannot be a "biblical" wife and still have a career while enjoying equality in the church as one who is "made in God's image?" As a Southern Baptist and as a doctoral student at one of our seminaries, I have been utterly embarrassed by the way one of the other seminary presidents treated Dr. Klouda. It is absolutely insane. So why am I bothering you with all this now? Well, it seems that ever since the Klouda fiasco, some Southern Baptists have been pouring out of the woodwork to somehow defend their twisted and unjust view of gender issues. On his blog, Wade Burleson has commented on this phenomenon which seems to be getting out of hand. 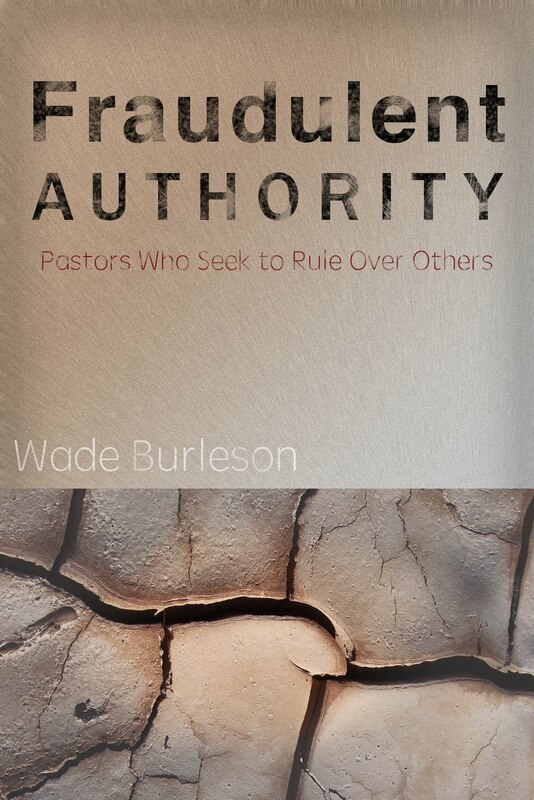 You can read Wade Burleson's latest blog article by clicking here. Before you run off to Burleson's site, let me say one other thing in the way of empirical testimony that has shaped my understanding of gender issues more than the Klouda case or anything else going on in this "La La Land " known as the Southern Baptist Convention. My mother was a career woman out of necessity not out of feminism or any other social movement. The 70s was a time of mind-boggling inflation, and it was no time to be worrying about social movements especially if you wanted to put food on the table. As a single parent, my mom worked hard for little pay. Nothing was saved; it took all she could make just to live. Now, don't get me wrong. Strong godly homes with two godly parents (Mothers and Fathers) are the ideal. Single-parenthood is nothing to strive for, and I take my own responsibilities as a husband and father to be the MOST important responsibilities that I have. Yet, when I was young (and I think my sister would agree), our best days spiritually, emotionally, and morally occurred in the absence of a man in the home despite the financial burden. I was brought to a saving knowledge of Jesus Christ in the absence of man in the home. When I found myself wanting to be like my earthly father instead of my Heavenly Father, that's when I ended up in trouble as a teenager. I know many of you do not care for Barak Obama, and as pastor (not to mention an elections official), I'm not endorsing or condemning Obama in anyway. However, I've heard him say something recently concerning the one time that he met his father at the age of ten that has resonated with me and it's this: "I considered the absence of my father to be a strength." I say all that to say this: My mother, when left alone, was able to work and be a mother raising a future attorney (my sister) and a future Christian minister (me) doing doctoral studies at the seminary. It was only when the man returned to the home from time to time that much of my mom's work was undermined and at times, seemingly destroyed (and would've been if it had not been for God's grace). Thus, like Priscilla who helped prepare Apollos for his ministry in Achaia, my mom did more for me shaping my future ministry than any man ever could. Unfortunately, the giftedness of such women in the church is being stifled for the goofiest of reasons. Therefore, I speak out now because as I watch many Southern Baptist churches become stagnate and slowly die or being built around personalities rather than the Holy Spirit, I know that the church will continue to decrease in relevency until ALL those gifted for ministry by the Holy Spirit are allowed to serve the Lord just as they were allowed to do in the first century when one woman helped prepare a man for the mission field. May the tribe of men like Pastor Billy increase in the SBC. Amputee Apologizes for Fabricating Story About His Leg, Says Story "Snowballed"
The executive director of an Oklahoma City-based organization providing prosthetic limbs to the needy has apologized to donors and supporters for perpetuating a false story about how he lost his own leg. For years, Craig Gavras, director of the Limbs for Life Foundation, has been known as a former Dallas police officer who lost his leg after being attacked by an angry mob. In actuality, Gavras was never a police officer, although he was a Dallas police recruit when he injured his right knee while jogging in 1989. The injury caused him to resign from the police academy, and the leg – which had already been operated on several times due to an earlier sports injury – was amputated in 1993. His lie appeared in news stories over the years, including some in The Oklahoman, and he didn’t take steps to correct it. Friday night, Gavras posted an apology on the foundations’ Web site, said Ryan McGhee, the foundation’s public relations director. Gavras apologized to about 500 donors and supporters Saturday at the foundation’s ninth annual benefit gala at the Dallas Trade Mart. The foundation’s board chairman, Denielle Taylor, posted words of support for Gavras on the foundation Web site. The foundation has given limbs to more than 10,000 amputees and is part of an effort to help supply artificial limbs and therapy to victims of the earthquake in Haiti.